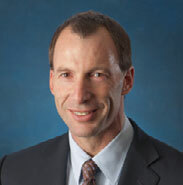 Steve Lebovitz joined the board of trustees in 2011. He is president and CEO of CBL & Associates Properties, Inc., the fourth-largest mall REIT in the United States, which owns, holds interests in or manages over 130 retail properties. Before joining CBL, Steve worked for Goldman, Sachs & Co. An active Parents’ Fund volunteer for Milton, he and his wife, Lisa, live in Weston, Massachusetts. Their son Andrew ’10 is a student at Middlebury College; their children Matthew and Abby are members of the Classes of 2012 and 2014, respectively. Steve attended Stanford University, and earned his M.B.A. from Harvard University. Hey faculty, what space made your day?